11 PORTS WITH MULTIPLE FUNCTIONS: HDMI | MiniDP | VGA | USB-C | 3 x USB 3.0 | RJ45 coaxial cable | Stereo headphone jack | SD card | microSD card | Provides expanded function and an extra layer of convenience. 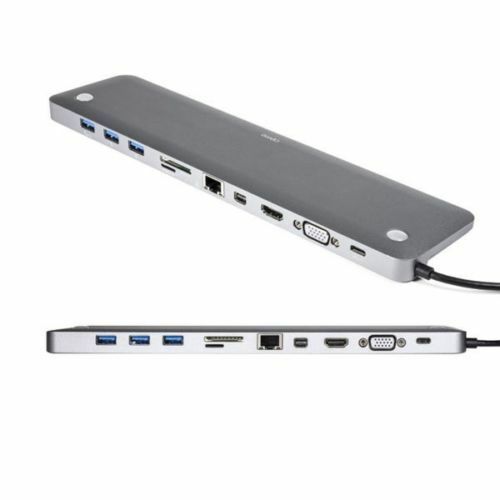 BUILT-IN 3 x USB 3.0 PORTS: With ultra-fast data transfer, allowing for the expansion of storage space via removable storage devices. You can also charge multiple devices, such as phones and tablets, off your laptop’s power using these ports. HIGH-QUALITY ALUMINUM ALLOY SHELL: it can increase heat dissipation space and enhance safety. WIDE COMPATIBILITY WITH USB-C ENABLED LAPTOPS: Galaxy Note 7. 2016/2017 MacBook, Google Chromebook Pixel, HUAWEI MateBook, Lenovo Yoga 900 13, Yoga 900 V01, Dell XPS 13 9350 and more. 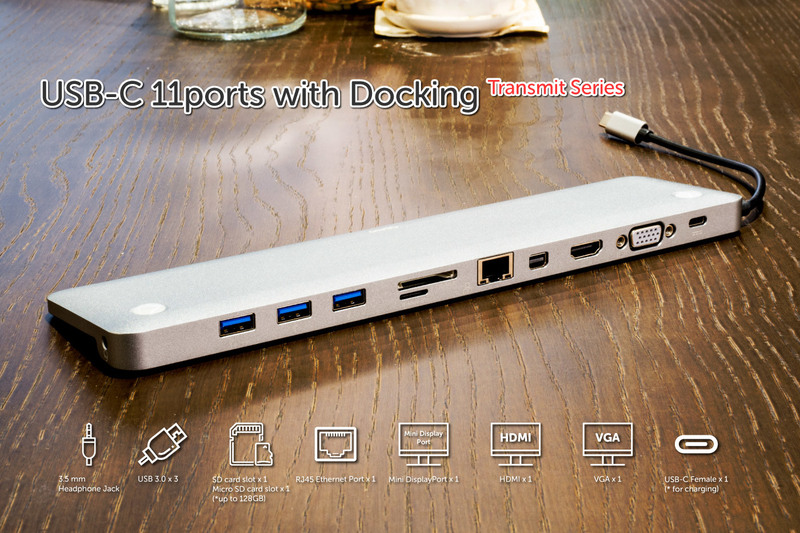 This dock expands the function of the Type-C port on your computer, allowing for more convenience and connectivity with other devices. Compatible with a wide range of systems, it will satisfy all of your demands. Built-in HDMI interface to connect to a TV, supporting signals up to 4K 30Hz. 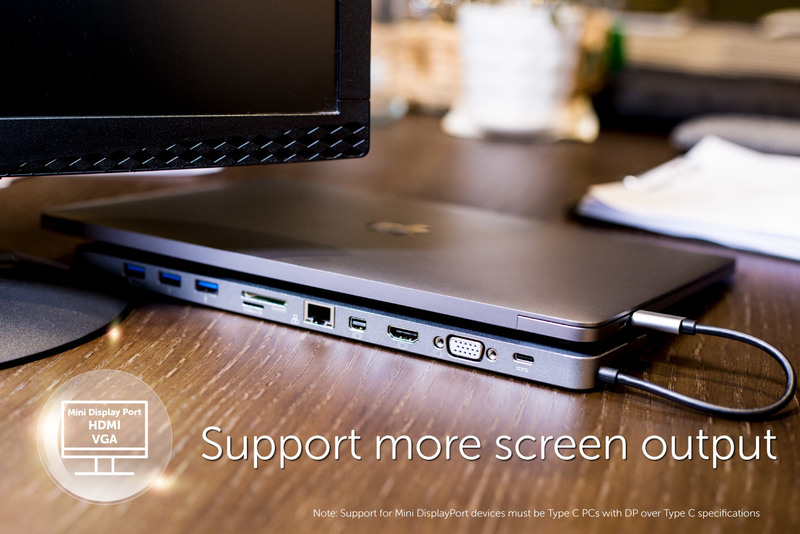 Effortlessly carry your computer experience to a larger screen, with quality that is clear and smooth. 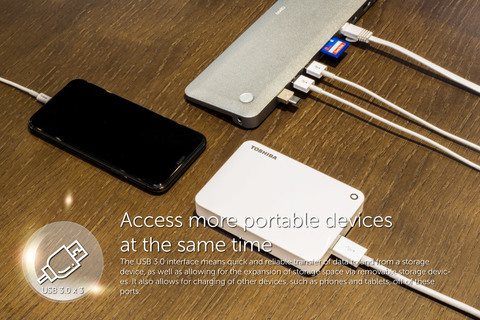 Compatible with MiniDP-supporting devices, such as Apple MAC, Lenovo ThinkPad X, Surface Pro series, allowing easy connection to supported displays. Supports VGA output, suitable for computer screens, projectors and TVs. Up to 1920x1200 resolution; in home, business, or other situations, the picture quality is crystal clear. 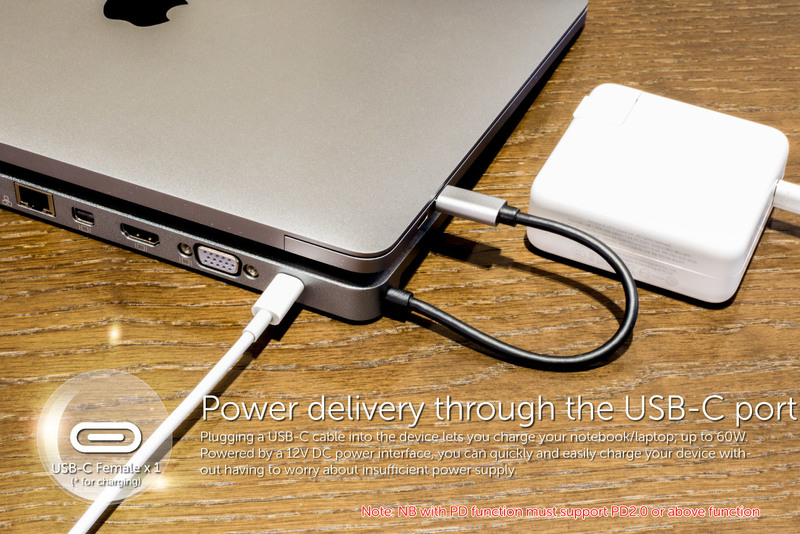 Plugging a USB-C cable into the device lets you charge your notebook/laptop; up to 60W. Powered by a 12V DC power interface, you can quickly and easily charge your device without having to worry about insufficient power supply. 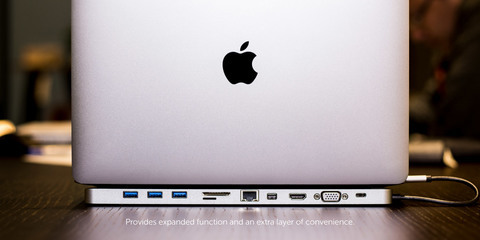 The USB 3.0 interface means quick and reliable transfer of data to and from a storage device, as well as allowing for the expansion of storage space via removable storage devices. 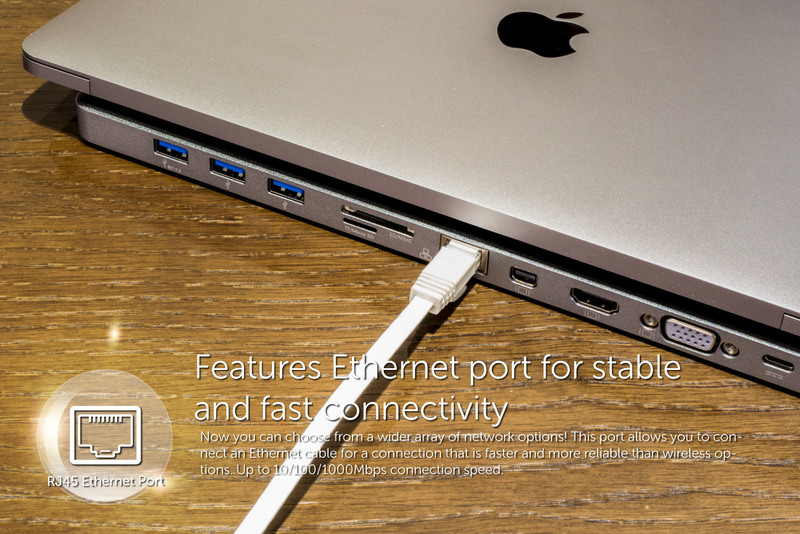 It also allows for charging of other devices, such as phones and tablets, off of these ports. Now you can choose from a wider array of network options! This port allows you to connect an Ethernet cable for a connection that is faster and more reliable than wireless options. Up to 10/100/1000Mbps connection speed. Features a universal 3.5mm headphone jack for a wide array of headphones. 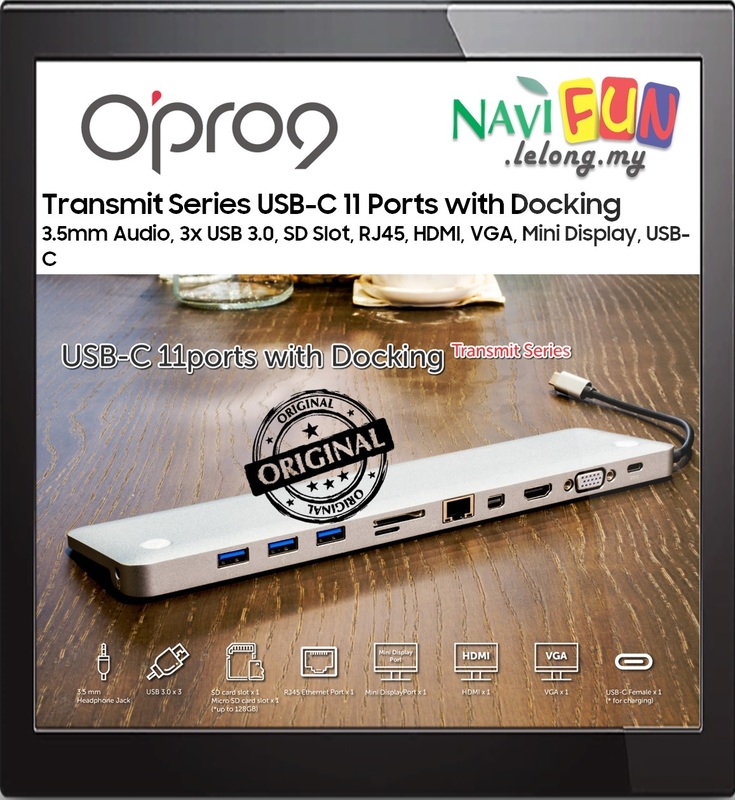 Built-in SD and microSD card read slot; supports a maximum size of 128GB with up to 55Mb/s high-speed transmission, allowing you to easily read and transfer. 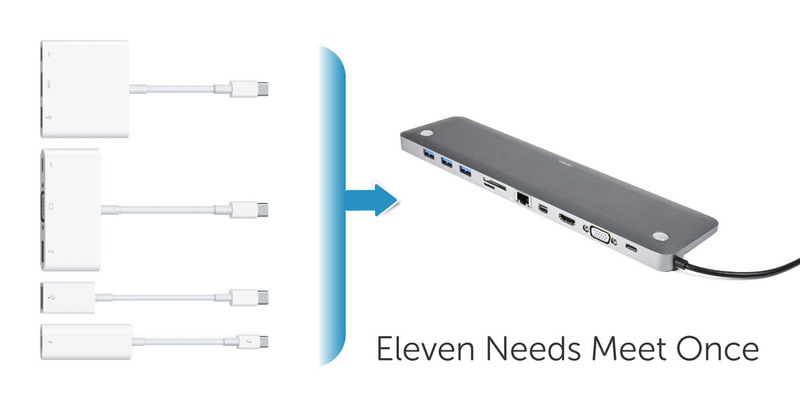 Wide compatibility across a range of USB-C supported devices. With a simple USB-C interface, simply plug it in and experience the convenience. With an aluminum alloy shell, this device not only looks good with its mature and sleek metallic design, it is also extremely sturdy. The highest care has been taken to deliver a sublime product that is scratch-resistant, oxidation-resistant, and can enhance your laptop’s heat dissipation space. With its built-in overcurrent protection, the device will automatically start its protection mechanism when the current output load is too large; your laptop is protected.